Israel invests heavily in attempts to present itself as an ordinary Western state. Governments and media organisations do not take much persuading, ethical considerations seldom determining the willingness to continue ‘business as usual’. Still, a moral fable has to be told, which presents the Israeli regime with a problem. It is not normally acceptable to refuse refugees the right to return to their homes, or to undertake a project of racial exclusivity, or shoot hundreds of unarmed people demonstrating against a medieval siege. A subtle social discourse is developed which allows personal distress and deep concern for those physically or psychologically damaged, regret at the failure to find a ‘solution’ to this ‘intractable’ conflict, and which tolerates even expressions of distaste for the excesses of the Israeli Government. It does not allow a repudiation of Zionism (described simply as ‘self-determination’), or exposure of the pro-active and systematic colonisation of Palestinian lands (the situation is ‘very complex’), or challenges to the ‘security theology’ according to which state crimes are re-packaged as acts of self-defence against a people characterised by an unending hatred and propensity to violence. Palestinians cannot be regarded as the victims of State terror. This discourse is rigorously policed by liberal democrats, using strategies that undermine the fabric of liberal democracy itself, twisting language, and injecting hysteria, intolerance and fear into academic discourse, restricting free speech, interfering in the democratic process, and sponsoring laws that prohibit non-violent strategies to challenge oppression. Mainstream press outlets are closely monitored and subject to intense pressure to exclude progressive material; social media platforms are subverted; pro-Palestinian sympathies are officially considered indicative of potential radicalization. This combination of urbane good-will and coercive methods of social control to neutralise support for Palestinian rights can be observed in the International Association of Relational Psychoanalysis and Psychotherapy (IARPP) handling of protests against its decision to hold its 2019 Annual Conference in Tel Aviv. The belief that there is a direct link between the ‘normalisation’ of Israel in the West and the perpetuation of state crime in Palestine led mental health clinicians in the United States, the UK, Palestine and internationally to protest IARPP’s decision, launching a petition now signed by 1400 mental health workers and professionals. Rejecting the request to reconsider the decision, IARPP President Steven Kuchuck wrote: “If we chose our conference locations by judging the political decisions of national governments, we might well have a hard time finding an ideal setting that would fit everyone’s preferences and values.” Changing the Conference location would be ‘to allow our organization to single out one country’, it ‘would be to practice the politics of exclusion’. ‘It is not the responsibility of IARPP to side with one view of this complicated history’. Here, one after another, are catchphrases from the lobbyist’s arsenal, insinuating that it is those who act to redress injustice who are displaying a lack of good taste. When will the moment come in which the mass killing of Palestinians matters anything to the right? When will the moment come in which the massacre of civilians shocks at least the left-center? If 60 people slain don’t do it, perhaps 600? Will 6,000 jolt them? The organisation’s 2018 conference is due to open shortly in a New York hotel. 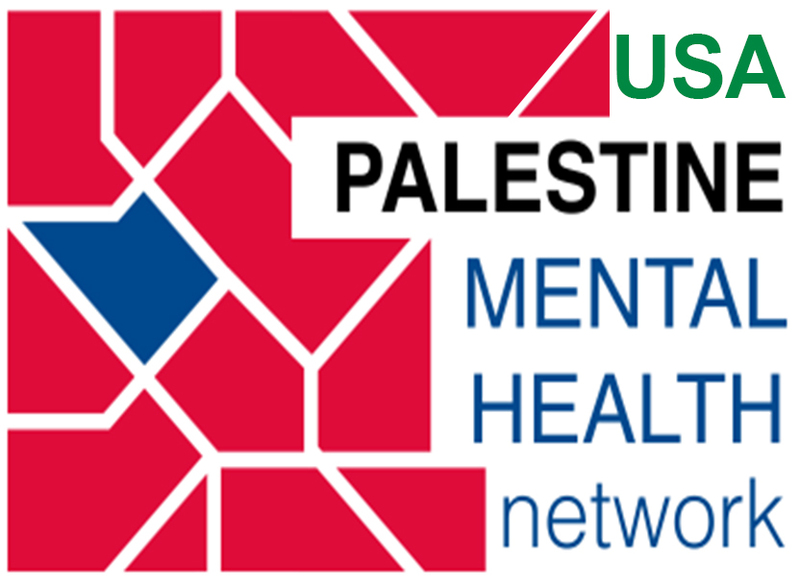 Hoping to provide a window for a discussion of human rights, the USA-Palestine Mental Health Network (USAPMHN) had requested to rent a literature table within the conference: IARPP denied this request. The USA-P MHN then hired a room at the same hotel for a symposium, called ‘Voices on Palestine’ to take place at a time when this meeting would not conflict with a scheduled IARPP speaker. The USA-P MHN invited the IARPP Board. The IARPP’s response was to call the hotel management and claim that the USA-P MHN planned to disrupt the IARPP meeting, attempting to frighten the hotel management into cancelling the USAPMHN’s rental contract. The IARPP intimation that violence was being planned by the USAPMHN was such that the hotel Managing Director called the New York police to be present during the event; the Managing Director asked the USA-P MHN to move its “Voices” event elsewhere. The attempts at sabotage did not end there. The IARPP then arranged for a memorial service for a much-loved member of the IARPP, scheduled at the same time as the “Voices on Palestine” forum, seeking to manipulate the grief his death has occasioned to draw attendees away from the meeting on Palestine. It is not too late for IARPP to re-locate its planned 2019 conference from Israel. As critics repeatedly point out, doing so would actually broaden the event’s accessibility and inclusiveness. More people from Palestine itself, and from the rest of the world, and from the roster of non-violent organizations such as Jewish Voice for Peace and the American Friends Service Committee could participate. Clinicians who would be otherwise barred from entering the country by the Israeli government would have access to the conference; others surely will refrain from participating by their own consciences. It would take away the moral dilemma that the IARPP’s decision has imposed on Palestinians who could only attend by appearing to legitimize their racial subordination. If it entails some financial loss to the IARPP, this would be insignificant compared to the value of sending a quiet message to those bearing the brunt of Zionism’s crimes, telling them that the organization representing Relational Psychoanalysis, at least, regards them as people of equal value to the rest of the human family. Martin Kemp PhD and Samah Jabr M.D.